The iTap 2 Wireless CD Slot Mount is a sleek and powerful magnetic mounting solution that holds smartphones with a simple tap. 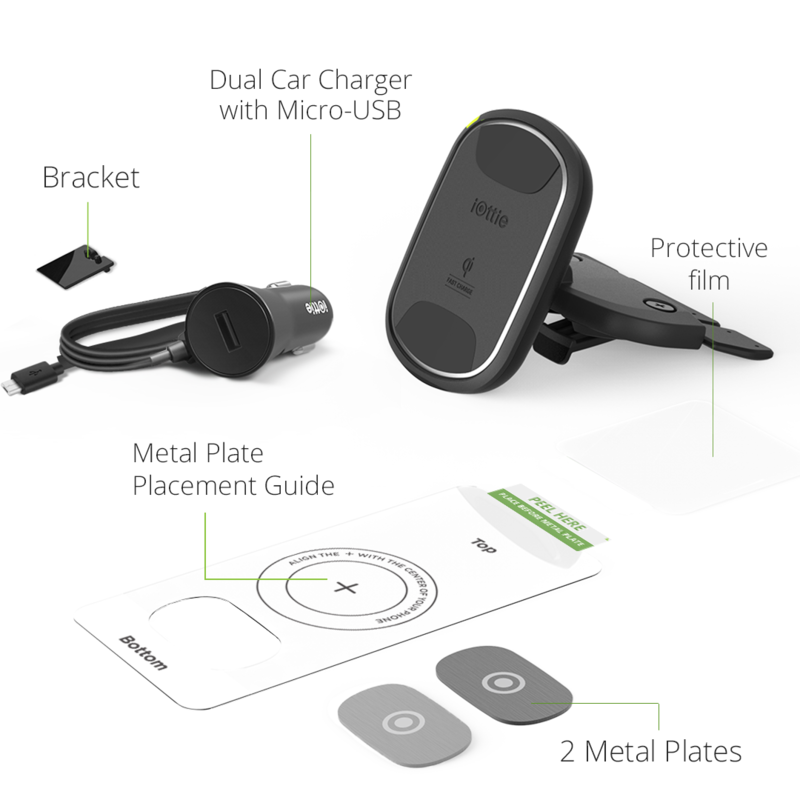 The design of the mount features two powerful rare-earth magnets that work with a Metal Plate system to hold smartphones securely in various road conditions. 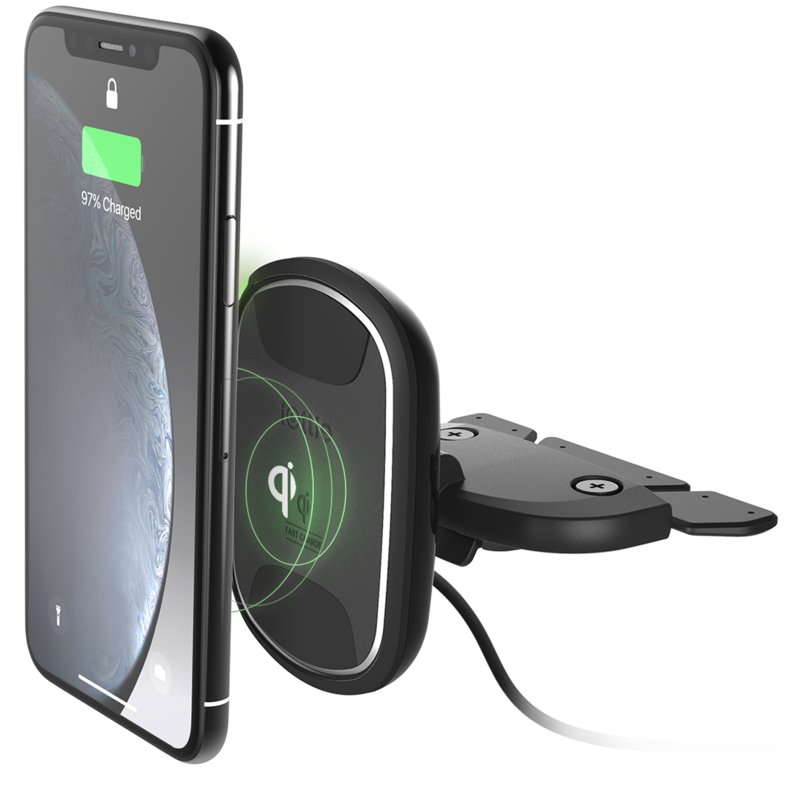 Once mounted securely, Qi wireless charging technology delivers power to the smartphone automatically without the need for additional charging cables in the car. Install iTap 2 Wireless into most CD Slots with a rubberized connector that is universal and safe. 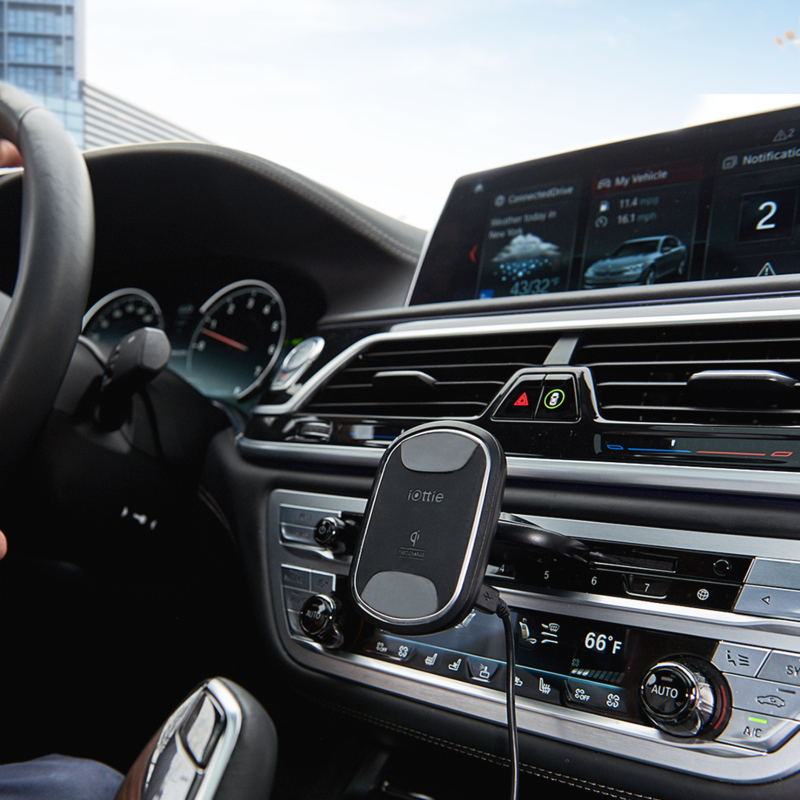 The iTap 2 Wireless CD Slot Mount from iOttie delivers performance and power to any Qi-enabled smartphone for a safer driving experience on the road. 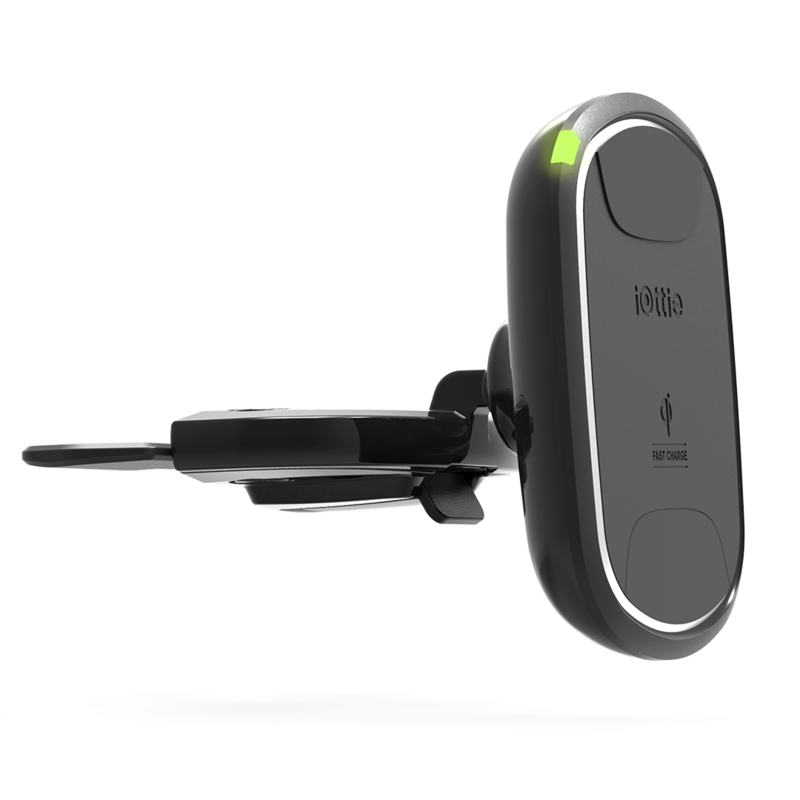 Qi wireless charging delivers power to smartphones efficiently on contact. Two rare-earth magnets provide a secure hold in various road conditions. The Metal Plate Placement Guide helps to accurately align the metal plate on your smartphone for the most efficient wireless charge. 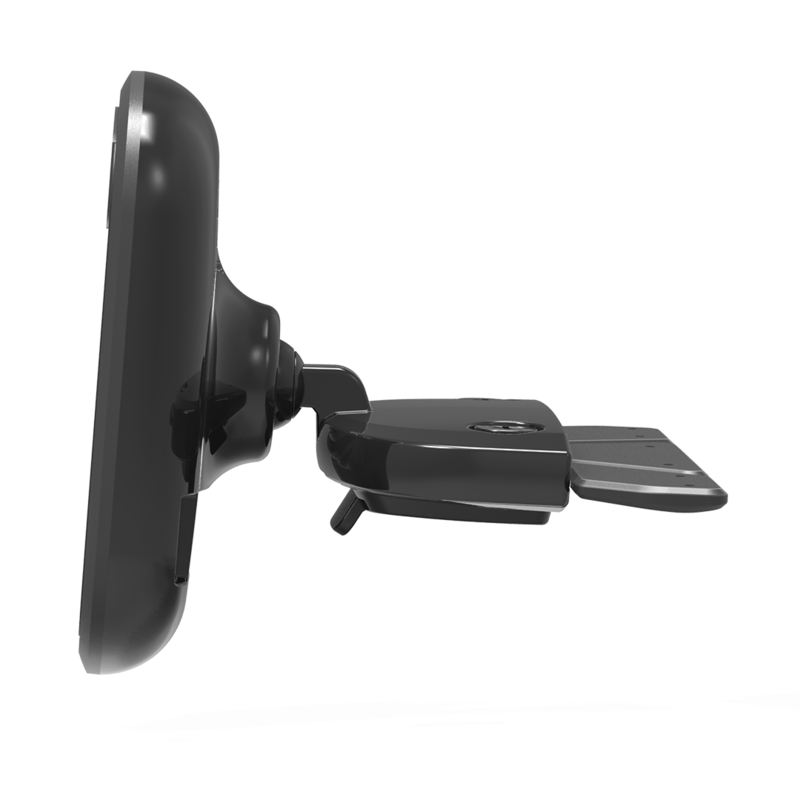 Air vents on the back of the mount help air circulate for efficient wireless charging. Soft rubber CD Slot connector installs safely in most vehicle CD slots.